MUMBAI: Goa Congress on Saturday wrote to Governor Mridula Sinha to stake claim to form a government in the state following the death of a BJP MLA Francis D’Souza. On the other hand, amidst rumours about Chief Minister Manohar Parrikar’s deteriorating health, six MLAs in the assembly have formed a separate group which fanned the speculations regarding new chief minister. The leader of opposition in the Goa assembly Chandrakant (Babu) Kavalekar, in the evening, wrote to governor Sinha asking for the dismissal of the BJP-led government saying it is in “minority” and the “single-largest party” Congress should form the govt. The letter also stated, that “any attempt to bring Goa under President's rule will be illegal and will be challenged”. “Consequent upon the sad demise of Francis D’Souza, MLA who was belonging to the Bharatiya Janata Party (BJP), it is humbly submitted that the incumbent BJP led State Government under the leadership of Manohar Parrikar which has long lost the trust of the people, has also lost the strength of the house. Also, we anticipate that numbers of the BJP may further dwindle thus not allowing such a party in a minority to continue even for a moment,” the letter said. The letter led to rapid political developments in the state wherein six members of the state assembly formed a new group under the leadership of Goa Forward Party (GFP) leader Vijay Sardesai. The development led to rampant speculations regarding the change of guard in the state. Death of D’Souza in February has led three seats vacant in the 40-member Goa Assembly. 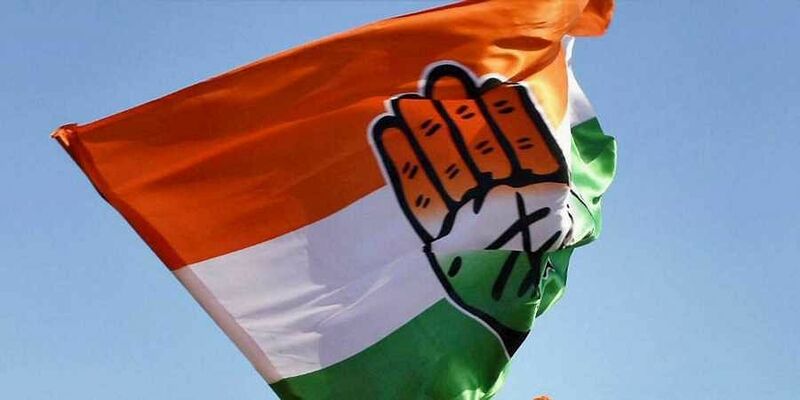 The Congress that originally had 16 members, now has 14 MLAs in the house after two of its members - Subhash Shirodkar and Dayanand Sopte –resigned to join the BJP leading to by-elections in the state on April 23. While the BJP has 13 MLAs, 3 members each of the Maharashtravadi Gomantak Party (MGP) and GFP along with 3 independents are supporting the government. The house has a single Nationalist Congress Party (NCP) member who is with the Congress. MGP leader Sudin Dhavalikar and GFP leader Vijay Sardesai are said to be ahead in the race for Chief Minister’s post after Parrikar. Sources close to Parrikar family said that he slipped into a coma in the morning. However, there had been no official statement regarding his health. Sources at CM’s residence confirmed that 30 oxygen cylinders were brought there in the morning, which corroborates with speculations regarding Parrikar being shifted to a life support system. Meanwhile, BJP MLAs huddled at party headquarters at Punjim by evening to ponder over emerging political situation in the state.